The Love Triangle Wedding Cake is decorated with a mosaic of multi-coloured triangles. This two tier cake would not look out of place in a museum! 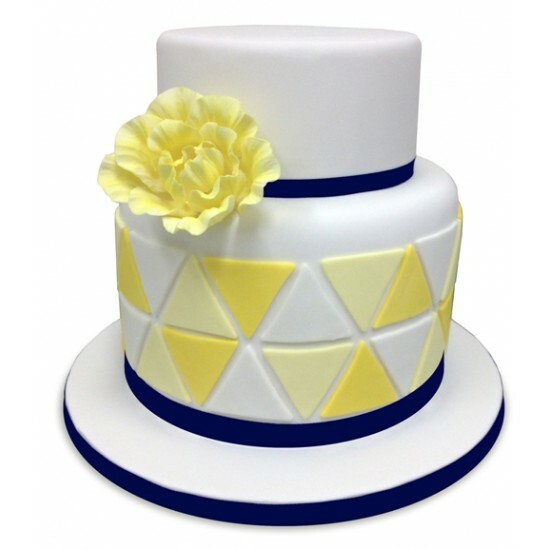 The Love Triangle Wedding Cake is decorated with a mosaic of multi-coloured triangles. This two tier cake would not look out of place in a museum! 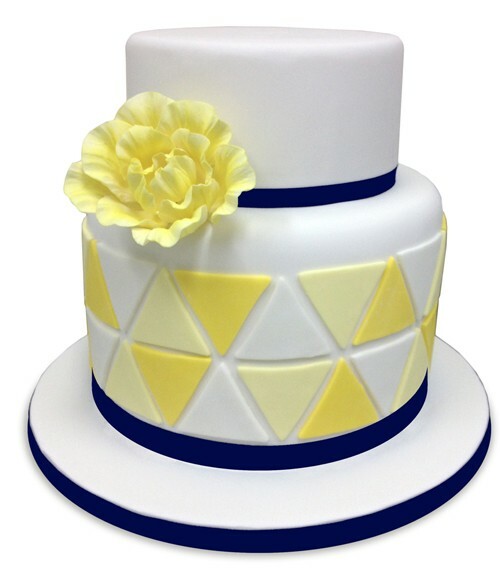 Two tiers of hand decorated wedding cake complete with hand cut icing triangles arranged artfully around the bottom tier, with a stunning pale yellow Peony Rose.